"I've named my generator 'Atlas' - it was the best purchase I've made for my house. Cliff's is always courteous and prompt. Excellent service!" The YorkCare™ comfort plan picks up where your regular York® limited warranty leaves off. It extends your parts, labor or parts-and-labor warranty for up to ten years, and there are no limits to the number of service calls and repairs that are covered by the policy. The YorkCare™ comfort plan is designed to help keep your home comfort system running at peak performance-without expensive repair costs. Protect your investment. Contact us and ask about the YorkCare™ comfort plan today. Affinity™ and LX Series: Ten (10) years parts, ten (10) years compressors, lifetime heat exchangers (packaged units 20-year heat exchangers). Latitude™ Series: Ten (10) years parts, ten (10) years compressors, 20-year heat exchangers (Model TG9S lifetime heat exchanger). Home standby generators: Up to ten (10) years limited parts. Commercial System Warranties Available. Please contact us for more details. 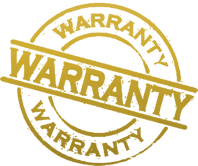 Note: All warranties not available on all systems. Some specifications apply.